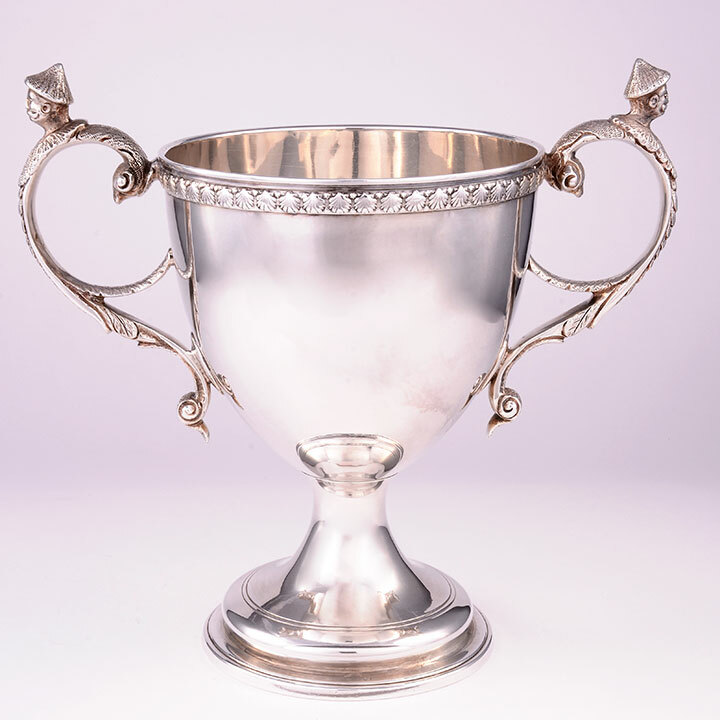 Hester Bateman began her silversmithing career after her husband John Bateman's death in 1760. John Bateman was a chain maker in London, and when he died, he left his workshop and tools to Hester Bateman. She registered her maker's mark in 1761, and it was used until her retirement in 1790. Hester Bateman had six children: John Joseph, Letitia, Ann, Peter, William, and Jonathan. 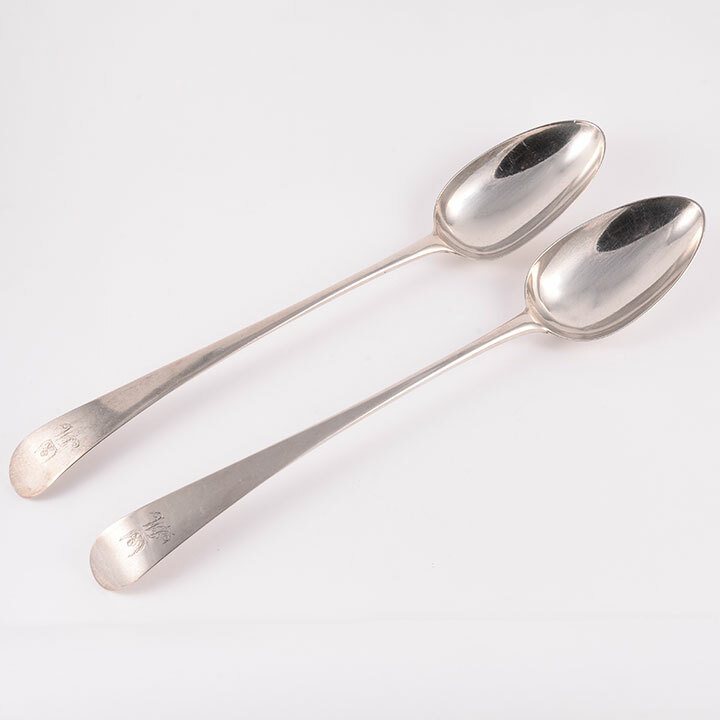 Jonathan and Peter worked with their mother to maintain the silver business in London. 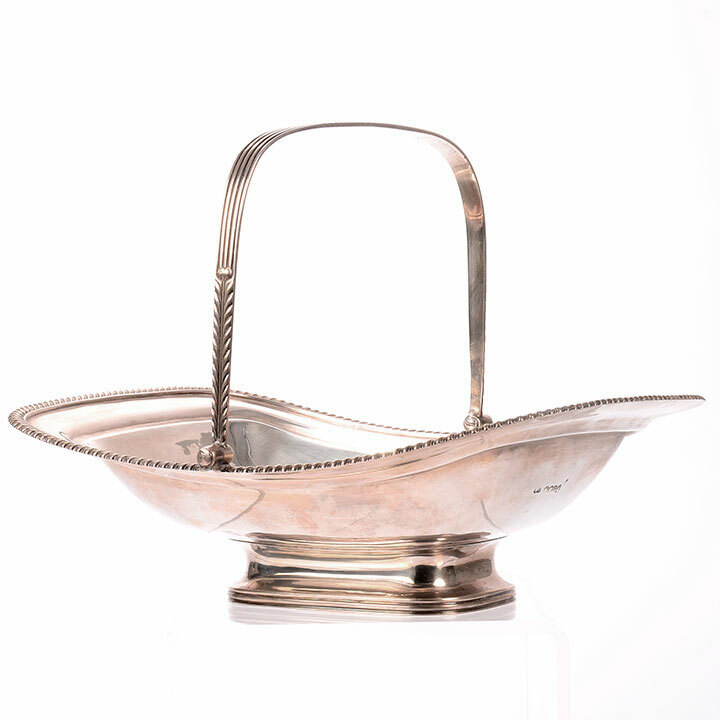 They were famous for their household silver, and made teapots, salt cellars, cutlery, ink wells and more. 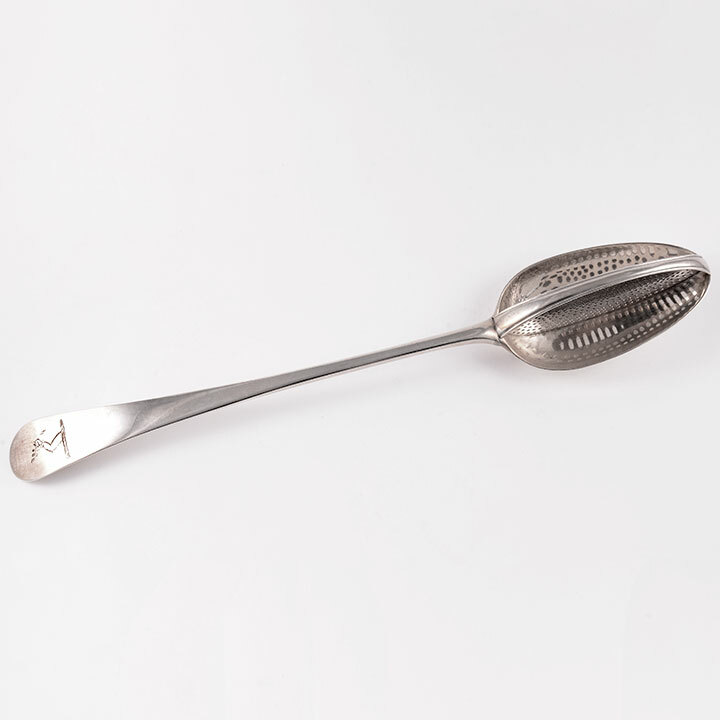 They paid attention to trends in design, and their items became popular with the middle class. Hester Bateman died in 1794. Her business was survived by her children, particularly Peter, John, and her son Jonathan's widow Ann. Various marks by the family were registered in 1800, 1805, 1815, and 1839. The Bateman family legacy continued through William Bateman, the son of Jonathan and Ann Bateman. 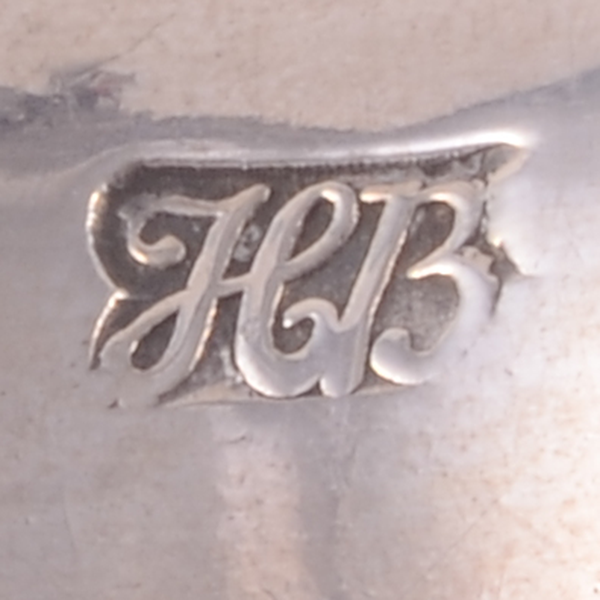 Bateman silver is identified by the makers marks. 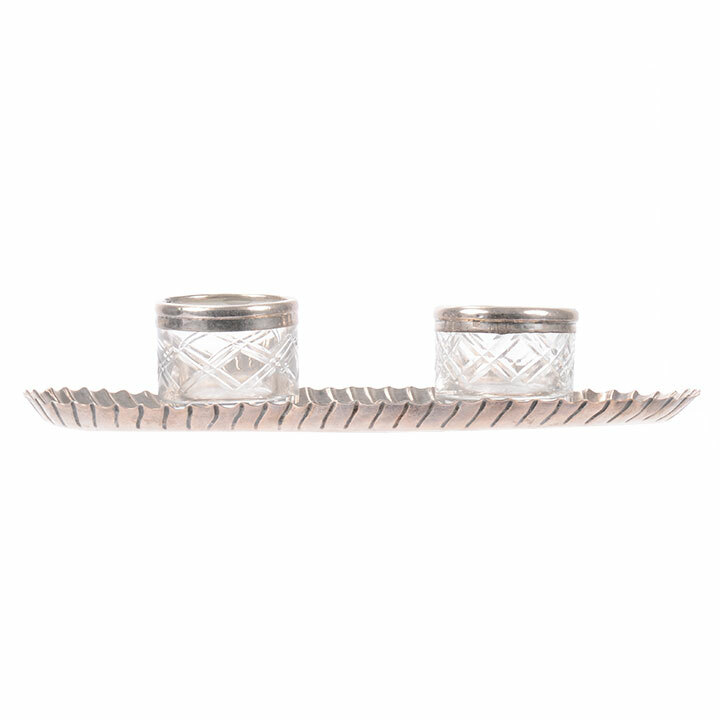 The tray and salt pot set above is significant due to the mark, which includes Peter, Ann, and William Bateman, a mark that was used for only five years. William (I) Bateman is noted for his work, registering his mark from 1815 until 1840. His son, William (II) Bateman, headed the family company until it closed in 1843. For more Spotlights, click here.